This is the home of Revisionaries, an absurd splatterpunk comedy about a spineless WW2 soldier who teams up with a band of time-traveling idiots hellbent on killing Hitler. Written by Andrew Adams (Schismatic) and drawn by Nico Sucio (Grid Runner, Eat the Shadow), this comic started out as a six-issue mini-series being released through Kickstarter before we realized that if we really wanted to share this story with as many people as possible… Then it should be free for everyone. So here we are! 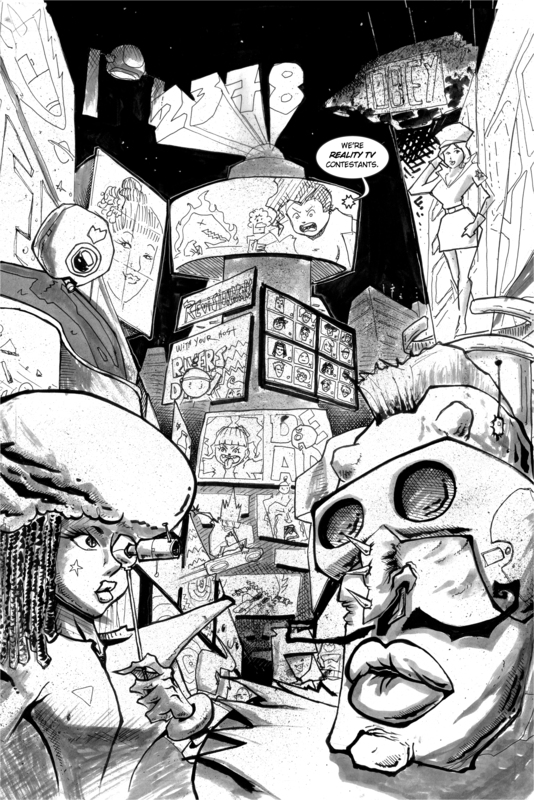 Now in webcomic form, the full Revisionaries tale will be released a page at a time. So come back every Monday for more content, more updates, and more fun!